Three UC Santa Cruz Earth scientists—Andrew Fisher, Adina Paytan, and Eli Silver—are among the 62 eminent scientists honored by the American Geophysical Union (AGU) as members of the 2018 class of AGU Fellows. AGU Fellows are recognized for their scientific eminence in the Earth and space sciences. Their visionary leadership and scientific excellence have fundamentally advanced research in their respective fields. Only 0.1% of AGU membership receives this recognition in any given year. 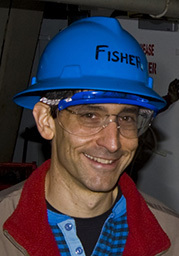 Fisher, a professor of Earth and planetary sciences, has done influential research on groundwater and aquifers, as well as pioneering studies of the flow of water beneath the seafloor. His lab has been implementing and studying groundwater recharge projects in the Pajaro Valley, using available surface waters to replenish depleted aquifers. Fisher is the UCSC campus lead for the UC Water Security and Sustainability Research Initiative and coauthored a recent report on sustainable groundwater management. 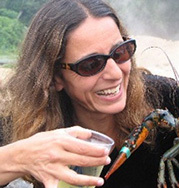 Paytan, a research professor in the Institute of Marine Sciences, studies chemical and biological processes in the oceans, how they have changed over time, and how they are affected by human activities. Her research includes studies of groundwater discharge into coastal systems, nutrient cycling, ocean acidification, and paleoceanography. 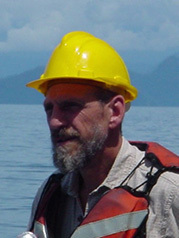 Paytan has received the AGU's Dansgaard Award for contributions to paleoceanography and paleoclimatology. Silver, a professor emeritus of Earth and planetary sciences, is a geophysicist who studies the active processes and mechanisms occurring at the margins of continents, including colliding tectonic plates and their role in mountain building, and mass balance and fluid flow in subduction zones. Silver served as director of the Institute of Tectonics and the Center for Remote Sensing at UC Santa Cruz, and he was part of a team of UCSC scientists who helped establish a national seismographic network in Costa Rica. The new AGU Fellows will be recognized at an honors tribute to be held in December at the AGU's 2018 Fall Meeting in Washington, D.C.